relation to the world, all the while walking a fine line between belief in God’s message as revealed in the Qur’an, and the power of the mind to discover truths on its own. 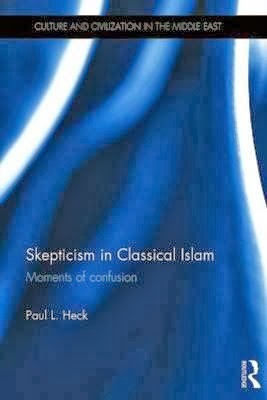 Skepticism in Classical Islam reveals how doubt was actually an integral part of scholarly life at this time. 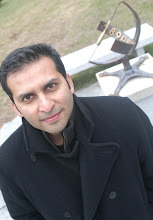 Skepticism is by no means synonymous with atheism. It is, rather, the admission that one cannot convincingly demonstrate a truth claim with certainty, and Islam’s scholars, like their counterparts elsewhere, acknowledged such impasses, only to be inspired to find new ways to resolve the conundrums they faced. Whilst their conundrums were unique, their admission of the limits of knowledge shares much with other scholarly traditions. Seeking to put Islam on the map of the broader study of the history of scepticism, this book will be of interest to scholars and students of Religion, History and Philosophy. Sounds fascinating. On a related topic, there is a chapter on medieval Muslim freethinkers in Jennifer Michael Hecht's Doubt - A History. But then Hecht was looking at freethinkers and not those who were also working on Islamic theology.